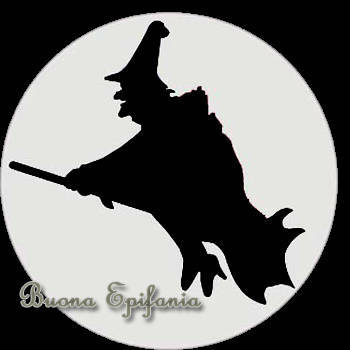 While I am writing now, most Italian kids are sleeping and waiting for the “Befana” (Witch) to come and fill their “stockings” with lots of goodies and sweets. They can’t stay awake, no…otherwise she would spank them with her broom! They are all excited because most of the times she brings them what they asked for but didn’t get from Santa Claus! You can see that in their minds this isn’t just the day that celebrates the visit of the Three Wise Men to baby Jesus; it is basically the night when this old lady lands on their roofs with her “scarpe tutte rotte e il vestito a trullalà” (broken shoes and cobbled dress), as an Italian rigmarole says!